Ive recently discovered hiit workouts and I’m just wondering if doing only hiit 3/4 times a week is good for weight loss / maintaining weight? or do I need to be doing More? I do a bit of yoga on top of my hiits but that’s it really as I’m quite busy with work. Depends on the workouts and your experience level. You can definitely do 3-4x per week. But if you’re just starting out, I would start with 1-2x and work up. I am 37, 6’2, 238 lbs. By BMI definition, I am overweight. Not the point. I train HIIT sprints 3x a week, HIIT stat bike 6x a week and weight train 4x a week. Been athletic my whole life and have never stopped. Question: Wouldn’t over-training be defined specifically to an individual? My HIIT sprints are 40 on and 20 off x 10 and HIIT stat bike is 20 on and 10 off x 20. I haven’t felt fatigued at all and I’ve been doing HIIT ever since the Tabata protocol was the thing back in the 90s. Just looking for some thoughts as I agree with the statement about impairing recovery (sprains, breaks, etc). If you have a good amount of muscle, then BMI is a useless measurement. Yes overtraining totally depends on the person and situation. If you feel fine, then keep doing what you’re doing. If you can all out sprints for 30 seconds you are a freaking super hero. You should really be sprinting. 8 seconds tops. Never start from the hole, always jog into the sprint. Do about 5-6 sprints with a walk back rest. You should be puking by your last sprint. Then do your freaking 25 minutes of lifting. Never do this more than twice per week. Would doing a 40 minute HIIT workout after 30 minutes of weight training, but still only doing the HIIT workout 3-4 times a week still be safe? Totally depends on your weight training workout and the HIIT workout. I’ve worked out all my life and never eat processed food, etc etc….found out I am genetically predisposed high cholesterol and heart disease and at 57, 5’3, 125 pounds had a heart attack 🙁 Getting back to working out 5 days out of 7 am trying to loose 15 pounds as after attack and a little inactive after I gained some weight. Anyway am wanting to ask if I am on the right track………HIIT on treadmill, total 20 minutes of brisk walking (3 miles p/hr) for 60 seconds and then 30 seconds at (3.5 miles p/hr) followed by 25-30 minutes of weights every second day and the other days, aerobic warm up of 10 min followed by 30 minutes of Yoga…………am I on the right track to loosing the needed weight at 1400-1500 calorie diet? You really dont need to workout 5 days per week if you dont want to overdo it. 2-3x per week with a focus on your diet will get you to your goals. Yes cals seem good. Does hit can help you gain muscle? I used to have great muscle on my legs but since I left exercising because of work I started to lose muscle, can HIIT help me recover my muscle since I don’t have so many time for weightlifting? No it is not a substitute for weight lifting. I am looking for weight lose I want to ask 2 or 3 days a week are enough to do or I do more. Or any better suggestions. Right now I’m doing two crossfit sessions a week. One day incorporates progressive squat weight training followed by a 10-20 minute metcon. Another day incorporates progressive deadligt training followed by a 10-20 minute metcon. I feel the metcons are similar to a HIIT workout (fast pace, high intesity, running, kettlebells, pushups, olympic lifts, etc). Aside from that I do a low-moderate intesity 3 mile jog/run once a week. Primarily my goal is to cut fat and I know you need to weight train to keep muscle. I’m approximately 15% bodyfat trying to get to 10% and at a moderate caloric deficit. 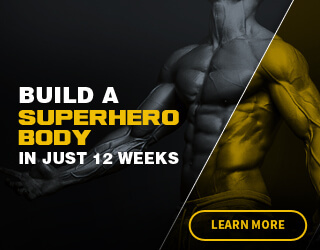 My question is, will this type of training hinder muscle gain? it’s hinder it if you’re training so hard that you begin to lose strength in your main lifting workouts. You can lose 95% of the fat you want via diet alone so i would really focus on that more than your workout. Is it okay if I do HIIT before my power lifting? i personally wouldnt recommend that, but if you test it and find that it works for you, then go for it. Can I do hiit workout after weight training thrice in a week? Will it lose all my remaining body fat like fat loss? you can. And no it’s not guaranteed, there are many other factors at play.